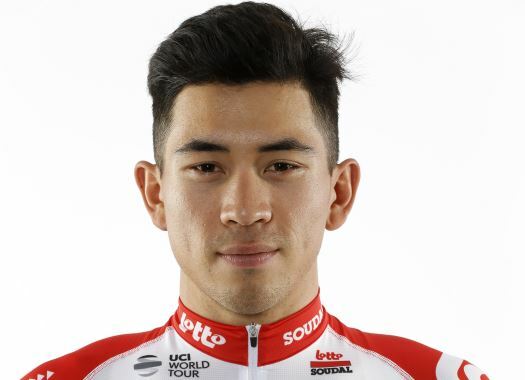 Caleb Ewan hopes to take his first WorldTour victory in Lotto Soudal's colours at the Cadel Evans Great Ocean Road Race. The rider already took a win with the Belgian team at the Down Under Classic criterium. The one-day race will be held on the 27th of January an will be 160 kilometres long from and to Geelong in the state of Victoria, Australia. "It’s definitely a race that we can win if the conditions are right," said Ewan. "If it’s a race where everything goes to plan for me - and the other sprinters - it can end with a reduced bunch sprint. "If that’s not the case, it can turn into a super hard race with maybe a climber winning. Obviously, the conditions and the way other teams race is out of our hands but I think we’ll give ourselves the best possible opportunity and then we’ll see how far into the race we can go. Hopefully, it is going to be a little more negative than aggressive racing." Lotto Soudal's Sports Director Mario Aerts also expects a race that evolves into a finish that suits the Australian rider. "Our plan is to deliver Caleb to the finish line in the best possible position," he explained. "Of course, the race itself but also the weather conditions will decide if we will achieve that objective. The Cadel Evans Great Ocean Road Race is a race where Caleb can start with less pressure. Contrary to the Tour Down Under, where Caleb in the first place, hoped to get a win. But of course, a nice result is always welcome. "Previous editions have been won by strong fast guys (McCarthy, Arndt, Meersman) as well as punchers (Kennaugh). We know that Caleb can do well on a hilly course, he’s proven this last week and also last year. So we are confident about that. Our team also won’t have to take all the initiative. We won’t control a semi-Classic from start to finish. We will do everything to bring Caleb well-positioned in the finale and then we will have to hope for the best!"